Easter Sunday, April 1 at 2:00 pm CDT from Times Square Church, Pastor Carter Conlon shares a message of hope. There’s no time in our history when hope is needed any more than it is today! From the opening of Carter Conlon’s Easter special with the Gospel choir proclaiming “Christ is Risen—Hallelujah!” to the closing prayer, Carter’s Easter message is filled with hope—a message to be shared in a season of doubt and skepticism! Saturday, March 31, 3:00pm CDT Heaven, So Near – So Far from Pastor Colin Smith of Unlocking the Bible. This two-hour special dramatic presentation was inspired by the story of Judas Iscariot, found throughout each of the four Gospels. In writing the book, Pastor Colin tried to imagine Judas looking back on his life on earth from the perspective of his new life in hell. The story weaves together what we know from the Bible about the events of those days and views them through the eyes of Jesus’ betrayer as he would have experienced them at the time, and as he can understand them now. 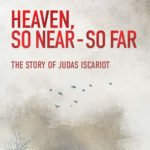 The story is a compelling invitation to the reader to not give up on Jesus Christ, as Judas did.